One of the perks of living in Arizona is the steady stream of rare birds that seem to show up all year. We get eastern vagrants, Asian strays, and the occasionally off-course neotropic bird. 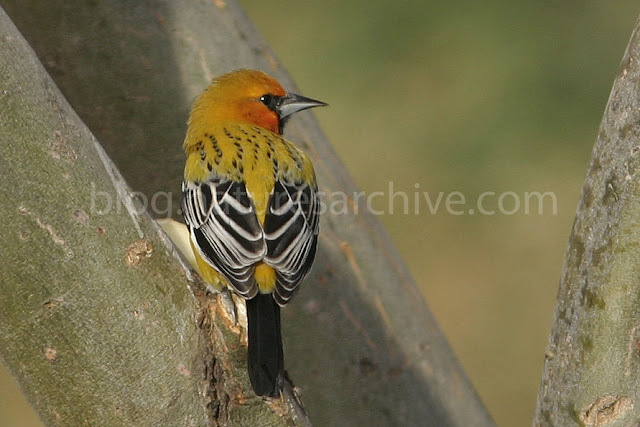 One such example is the Streak-backed Oriole, Icterus pustulatus. The Streak-backed Oriole seems to make an appearance somewhere in Arizona about three out of 5 years. 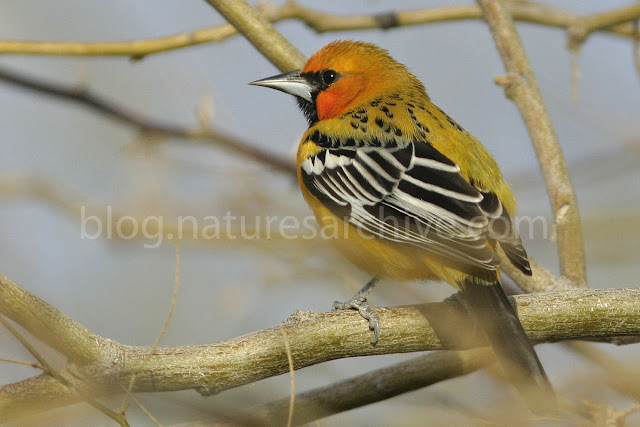 One showed up for a couple of seasons at the Gilbert Water Ranch and Riparian Preserve a few years ago, and this year as many as two were seen in the Yuma, AZ area. The Streak-backed superficially may be confused with the Bullock's Oriole, but the most obivous difference is the lack of an eye-line on both the male and female Streak-backed. Of course, the "streaked back" evident in the photos above is generally more pronounced as well, but first year Bullock's may also have some similar streaking. Thank you for greate photos!